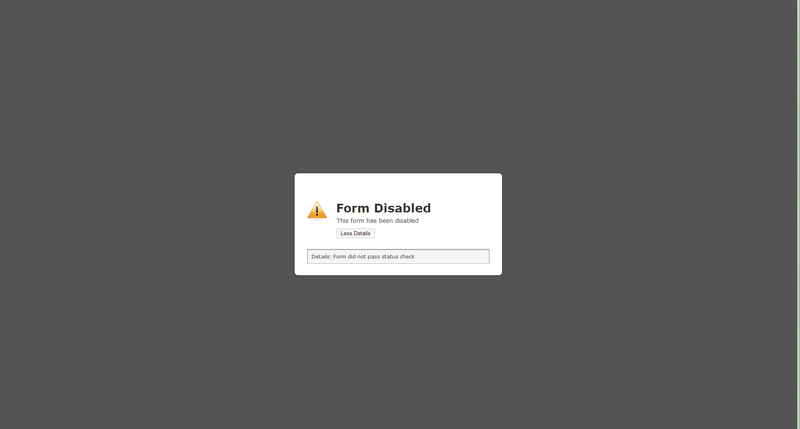 Form has been disabled! PLEASE ASSIT! I currently have three forms on my website with you guys. 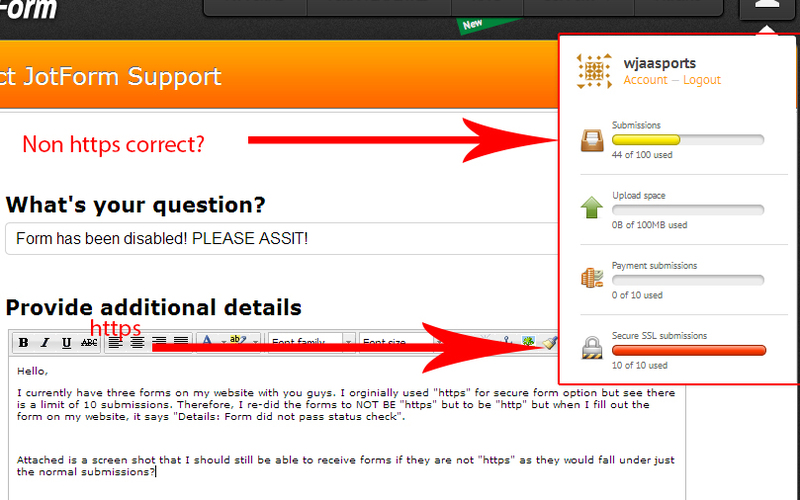 I orginially used "https" for secure form option but see there is a limit of 10 submissions. Therefore, I re-did the forms to NOT BE "https" but to be "http" but when I fill out the form on my website, it says "Details: Form did not pass status check". Attached is a screen shot that I should still be able to receive forms if they are not "https" as they would fall under just the normal submissions? I apologize, I wanted to make this post public as I could not find the existing post that I marked as private after it was submitted.